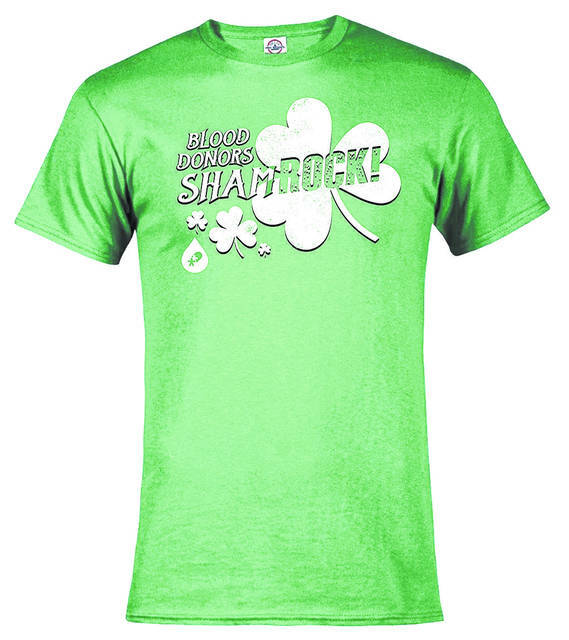 Everyone who registers to donate at the Keller Williams Hometown Realty blood drive at the Vandalia Recreation Center on March 30 will receive the St. Patrick’s “Blood Donors ShamROCK!” t-shirt. VANDALIA —Keller Williams Hometown Realty will partner with Community Blood Center to sponsor a blood drive Saturday, March 30 from 9 a.m. to 1 p.m. in the Vandalia Recreation Center gym, 1111 Stonequarry Road, Dayton. Everyone who registers to donate will receive the St. Patrick’s “Blood Donors ShamROCK!” t-shirt. Make an appointment online at www.DonorTime.com or call 1-800-388-GIVE. CBC needs whole blood to sustain the area blood supply and is also seeking new platelet and plasma donors. Donors now have more opportunities to donate platelets and plasma at an increasing number of community blood drives. Platelets are the cells that control bleeding while plasma is the fluid that carries nutrients and proteins throughout the body. Both are vital for the treatment of cancer, trauma, organ transplant, and burn patients. New platelet donors are in high demand, especially those with blood types A, AB, or B positive. Find out more at www.GivingBlood.org or talk to an apheresis specialist at (937) 461-3220. The bright green St. Patrick’s Day “Blood Donors ShamROCK!” t-shirt is free when you register to donate at the Dayton CBC Donor Center or any CBC mobile blood drive. This limited edition t-shirt is an original design and only available from March 4 through March 30.
https://www.vandaliadrummernews.com/wp-content/uploads/sites/19/2019/03/web1_CBC.jpgEveryone who registers to donate at the Keller Williams Hometown Realty blood drive at the Vandalia Recreation Center on March 30 will receive the St. Patrick’s “Blood Donors ShamROCK!” t-shirt.